A document of cruel self-delusions, an index of unusual realities, virtually a postscript to the body of Western literature about romantic love, and an extraordinarily fine opportunity to exult in the suffering of your fellow human beings, Catfish is a TV show. 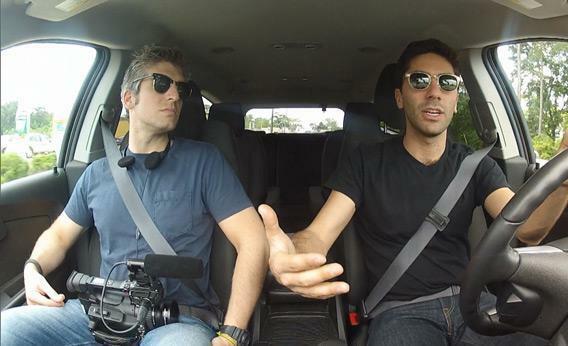 That is why MTV is calling it Catfish: The TV Show (MTV, Mondays at 11 p.m. ET). There are some clever Americans—in New York and Los Angeles, among other cities where one goes to good dinner parties—who also believed that Catfish, the film, might be a hoax in itself. They did not believe the material because it was too good to be believed, and their skepticism was in itself indicative of a small handful of problems with reality and identity and truth and beauty here and now in the post-apocalypse. One of the many interesting things—one of the three or four interesting things—about Catfish: The TV Show is that its existence demonstrates how dearly Catfish skeptics overestimate the cleverness of Americans, perhaps themselves included. There’s a moment in the series’ opening credits where Nev, out hustling the film on the festival treadmill or lecture circuit, remarks on the volume of mail he’s received from people who are in luv with strangers on the Internet. Strangers who are powerfully attractive. Strangers who say things like “you are my everything,” which is a lie even when said at well-planned 50th-anniversary parties, much less over a fiber-optic cable. Strangers who are powerfully capable of indefinitely postponing meeting in “real life” (as it is still called). The people besotted with these strangers look to Nev as an older-brother figure—a confessor, counselor, detective, and matchmaker. Take Sunny, whose case we examine in tonight’s episode. Sunny is a 21-year-old nursing student in Fayetteville, Ark., which is to say that she’s already responsible for keeping other people alive, which is slightly chilling. Sunny hit it off with the chiseled avatar of Jamison King, also known as R.J. King, a putative Angeleno who is a Chelsea Lately production assistant [slash] online medical student of anesthesiology [slash] male model. Sunny has never been in the same room as this person, but they have frequently talked in cyberspace—in Facebook and on the telephone. She considers him to be her boyfriend, and when we visit her apartment, a bridal magazine is on the table. Ah, this is why Sunny can’t listen to basic logic: The wedding bells drown it out. Nev and his homeboy/cameraman Max do some preliminary work to determine that Jamison’s story is even sketchier than you think it is. (An MTV news crew films Max filming Nev, a wraparound frame built to create transparency—to show-within-show you that everything’s on the level.) After tracking the jet setter down, they arrange for Sunny and Jamison to meet in his hometown of Tuscaloosa, Ala. She’s nervous and excited but voices confidence that her 10 years’ study of gymnastics will prove commanding when she and her beau consummate their relationship. She wears a strapless dress to her Alabama rendezvous. Jamison wears a T-shirt and soccer shorts and long hair because he is Chelsea, who is a woman and not model material. Sunny, betrayed and wounded and crestfallen, swears that if the camera weren’t there, she would exact vengeance physically: “I would take you out like none other.” Chelsea scoffs at this: “I’m twice your size.” Nev leaves the two of them “alone for a little while to talk.” But the only alone on television is nobody watching, which isn’t television. It’s not even video-art installation. On television, the matter of being alone does not even rise to the level of an academic question. And so leaving those guys alone for a little while to talk means leaving them with a camera as they begin to work through their feelings and needs in pursuit of an Oprah-ized zip closure. “There’s gotta be a reason why this has all happened,” Sunny says, trying to make the best of things. Yes, hon, the screens on your laptop and phone intensified the blinding glare of romantic optimism. But let’s not hit the reason point too hard. Upon being discovered as an impostor, Chelsea says, “It is what is.” In the fifth episode, another scammer, likewise dragged out from behind the wizard’s curtain on her doorstep, offers much the same phrase: “It obviously is what it is right now.” This grudging acknowledgment of imposture is a philosophical statement so stupid that it disappears out the other side and resembles a riddle: I am what eye is.